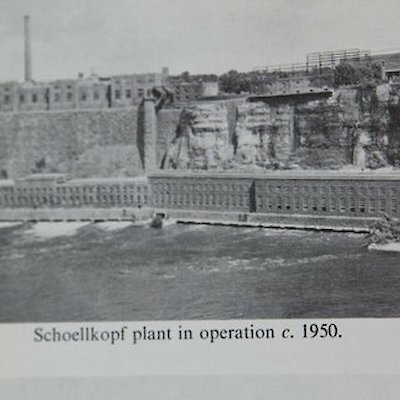 I can still remember as a 12 year old boy living in Niagara Falls Ontario the collapse of the Schoellkopf Power Station into the Niagara Gorge on June 7th of 1956. It occurred about 5 pm in the afternoon and I happened to be near the falls with my 14 year old brother when we heard a thunderous sound near the Rainbow Bridge. It sounded like a jet flying low. It wasn’t a plane. 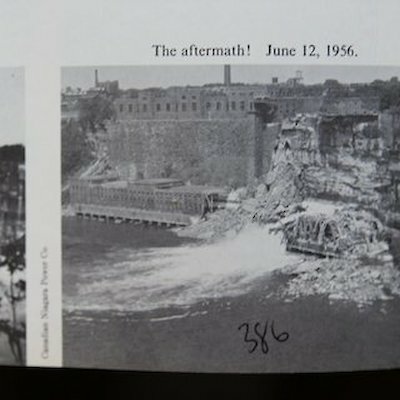 It was the power plant on the U.S. side of the border crashing into the Niagara River. 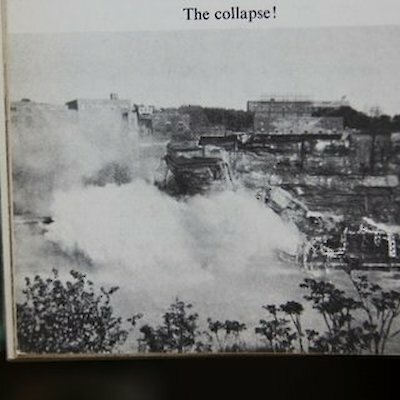 Although we didn’t see the collapse, we were there within five minutes to see in disbelief a monstrous crack had slit the power plant open and a mushrooming cloud of dust rising high in the sky. What was once a multi-million dollar power plant was now a twisted mass of steel and concrete? 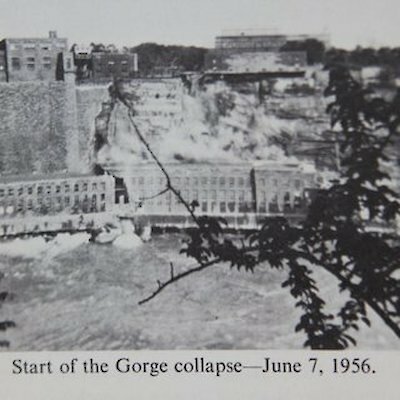 We learned later the collapse was as a result of dangerous water seepage behind the cliff had weakened the bank above the plant causing it to tumble 350 feet to the power plant at the edge of the gorge. Amazingly one man out of the thirty-nine men who were in the plant at the time lost his life. Part of what is left of this power plant can still be seen today. However, some of this rubble has been removed and is now the new location of the dry docks for the two Maid of the Mist boats that operate in the lower Niagara River from Niagara Falls, New York. Attached are a few photographs from the archives of the Canadian Niagara Power Company.